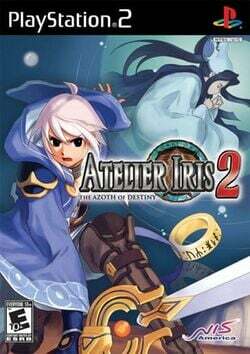 Game description: Atelier Iris 2: The Azoth of Destiny is about an alchemist out to prove himself and make use of his awesome skills. Atelier Iris 2 focuses on two main characters whom you can assume at will. One character embarks on adventures in distant worlds, facing off against enemies via a turn-based battle system. The other character stays behind at home and creates items and weapons. Atelier Iris 2: The Azoth of Destiny is the sequel to Atelier Iris: Eternal Mana and the prequel to Atelier Iris 3: Grand Phantasm.